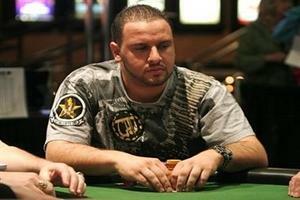 PokerNewsBoy has learned that Lock Poker has signed Mike “The Grinder” Mizrachi to represent the site at tournaments across the globe and at their online poker tables. Lock Poker is thrilled to announce the signing of one of the most coveted free agents in poker, who will now be one of the faces of the popular online poker site. As one of the biggest names in poker Mizrachi will now represent the largest US-facing online poker room as part of their LockPro Elite team, one of the best collections of talents in poker. Mizrachi is one of the most successful tournament poker players in the history of the game, with over $14 million in career tournament earnings, ranking him 8th on the all-time money list. Better known as “The Grinder”, the two-time WPT Champion, and three-time WSOP bracelet winner, will join the already talented LockPro Elite team, which also includes top talents like Chris Moorman, Annette Obrestad, Melanie Weisner, Paul Volpe, and Casey Jarzabek. Mizrachi is also an ambassador for the International Stadiums Poker Tour (ISPT) which has also entered into an exclusive partnership with Lock Poker. Lock Poker is the only online poker room offering US poker players a chance to play in satellite events for the ISPT Main Event which will take place at Wembley Stadium in early June. If you haven’t already signed-up at Lock Poker you can take advantage of our exclusive Lock Poker promotion code THEFUTURE that will allow you to take advantage of the site’s highest rakeback percentage and deposit bonus. By using code THEFUTURE when you join Lock Poker you will be eligible for a 36% rakeback deal and a first-time deposit bonus of 200% up to a maximum of $4,000. Click HERE for our exclusive Lock Poker sign-up code and instructions on claiming your Lock Poker rakeback and deposit bonus. This entry was posted on Thursday, January 17th, 2013 at 8:11 am and is filed under Poker News. You can follow any responses to this entry through the RSS 2.0 feed. You can leave a response, or trackback from your own site. all online poker is fukin fixed,come on get a grip. i no a certain pro, no name mentioned,who says if it wasnt for him getting big bucks for playing for a certain site he would never ever play online poker.its so goddamed fixed its untrue,and if they ever get cought with wot they are doing,the whole of online poker will go bankrupt. FACT.